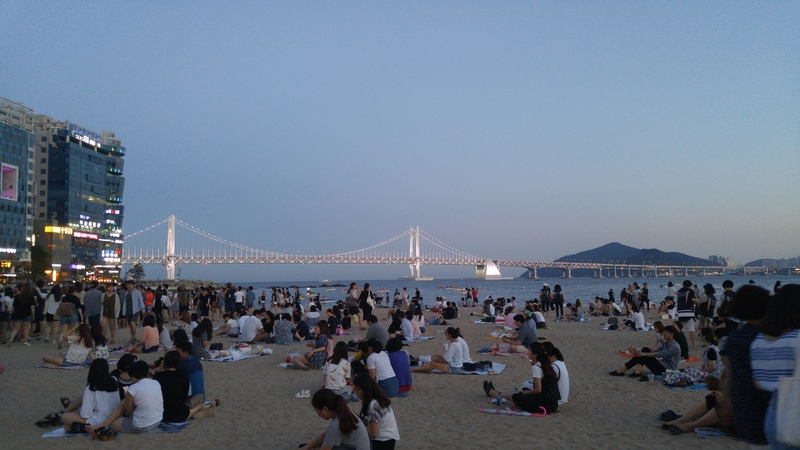 One of the popular places to go in Busan is the beach. There are about 3 major beaches in Busan. The most popular and most packed during the summer is Haeundae. We’d seen it’s nightmarish never ending umbrellas from our trip to the aquarium earlier in the day. We went to Gwangalli Beach which is west of Haeundae beach and can be reached via line 2 and getting of at Gwangan station and going for a bit of a walk. Gwangalli can still be pretty crowded but less so than Haeundae. There are over 300 sashimi restaurants nearby and one of the best things is to take a look at Gwangandaegyo bridge. At night the bridge has a set to music light show that we had an opportunity to watch. We also showed up in the midst of a music festival and listened for a bit. It was just nice to be on the beach for a little bit even though we got sand in our shoes and probably took way too many photos of the same scrap of ocean. We mostly were wasting time while waiting for our train buddies to get close. They ended up at a Cold Stone nearby so we went off to join them. The original plan was to go to Thursday Party, a foreigner friendly bar chain in Busan. But we were all too tired, and once we sat down at Cold Stone there was no moving. It was fun to watch them make the ice cream. I, and one of our train buddies, got a mint ice cream mix that I think had chocolate chips and brownies that they mixed in later. It was delicious. 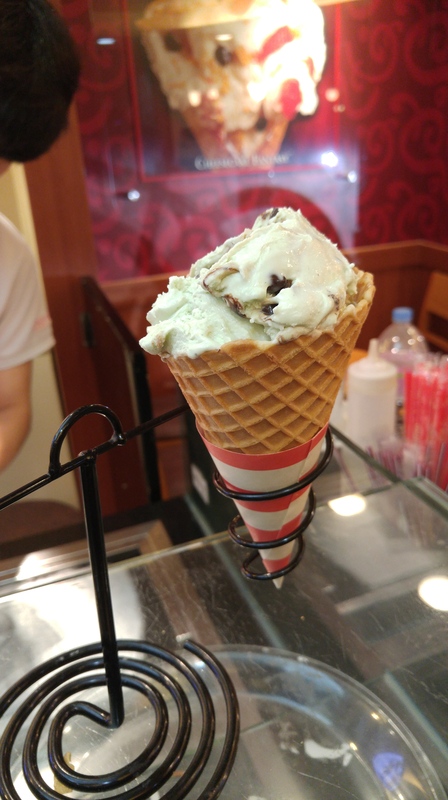 Our traveling from China friends told us they’d been eating a lot of Cold Stone recently and gave us plenty of suggestions. It was fun to just sit for awhile in the air conditioning eating ice cream and swapping travel stories.